Mandatory payroll deductions are controlled by law, while voluntary deductions are controlled by you. 1. 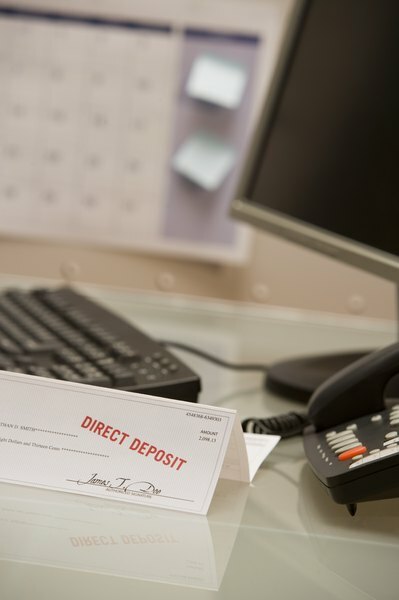 Are Social Security Taxes Withheld on 401(k) Deposits? 3. What Deductions Are Exempt From Federal Taxes but Not FICA? Mandatory payroll deductions are the wages that are withheld from your paycheck to meet income tax and other required obligations. Voluntary payroll deductions are the payments you make to retirement plan contributions, health and life insurance premiums, savings programs and before-tax health savings plans. Mandatory payroll deductions are required by law, while voluntary deductions are choices you make with your employer's agreement. Mandatory payroll deductions include federal, state and local income tax withholdings and contributions to state unemployment insurance. They sometimes include court-ordered garnishments for delinquent child support payments, delinquent federal or state taxes, delinquent student loans and payments to creditors who've won court judgments against you. Contributions to your Social Security and Medicare accounts are mandatory payroll deductions assessed as a percentage of your earnings. Social Security contributions amount to 6.2 percent of your taxable wages up to $113,700 per year, as of 2013. Medicare taxes amount to 1.45 percent of all of your taxable wages. Should your annual earnings top $200,000 this year and you file as an individual, you'll pay an extra 0.9 percent toward Medicare insurance. Voluntary payroll deductions are the ones you control and choose. Along with health, life and disability insurance, these voluntary payroll deductions may include union dues, retirement or 401(k) contributions and flexible spending accounts for health care and dependent care expenses. Before the advent of automated payroll services and computer-generated payroll, some employers balked at agreeing to voluntary payroll deductions that were not directly associated with employer-provided benefits, such as health insurance. Flexible spending accounts, or FSAs, are voluntary payroll deductions taken out of your pay before federal, state, local or payroll taxes are computed. You fund your FSA with pre-tax dollars, reducing your overall income tax liability. Your employer also benefits by reducing his portion of payroll taxes that are based on your earnings. This feature encourages many employers to offer FSAs. While saving tax dollars, you can use an FSA to pay medical expenses, such as deductibles, prescription medication, dental charges, eyeglasses, contacts, eye surgery and adult and child day-care costs. Both your mandatory and voluntary payroll deductions are separated by category and totaled for each pay period and year-to-date on your pay stub or payroll voucher. Your totals for each category are printed annually on your W-2. If you've had voluntary, before-tax deductions, you'll see a discrepancy between your total earnings and taxable earnings, which will be lower. How Does TSP Matching Work?